Personal Loans > Resources > Consolidate Debt > Action Plans > Can You Inherit Debt? It was one of the few times I have cried as an adult, and the scene played out in front of my dad. The entire ordeal was uncomfortable, but what made it most difficult was the fact that I wasn’t hurt by a stranger, but by my dad himself. Unfortunately, he was oblivious about what he had done until I told him – point blank – over the phone. Some backstory: My grandmother had just passed away, so I was already distraught. However, she had left me a small inheritance that was just enough money to pay off my student loans. While I was extremely sad about my grandmother’s passing, I was touched by her financial gift as well. Paying off my student loans was a goal I had been yearning for, and I couldn’t believe it was about to happen. You would think my father would be happy for me, right? After all, he had endured a lifetime of emotional distress due to his own financial troubles. Even late in his life and at that very moment, he was completely consumed by his debt and barely keeping up with minimum payments on more credit cards than I could keep track of. One of his high interest debts came with an interest rate that was somewhere in the range of 20 – 30 percent. My dad told me he was desperate to pay that particular debt off, which I understood. The thing is, I believe he didn’t want to pay it off to free himself from debt; he hoped to pay it off so he could continue taking out more cash advances. When my dad asked me if I could loan him the money I had just inherited from my grandmother, I was initially torn. I loved my father very much, but I knew that giving him this money wouldn’t fix his problem. I also knew that saying “no” at this moment was a great opportunity for me to stop following in his footsteps. If I didn’t want to drown in debt my entire life like he did, I had to do things differently. But my dad’s plan ran much deeper than just asking for the money. He had no way to pay me back and he knew it, so he offered to take out a life insurance policy that would pay me back and make me whole when he died. This is where I broke down. The whole ordeal made me feel uneasy. After thinking it through for a few days, I called my dad and told him I couldn’t – and wouldn’t – give him the money. I can remember the tears flowing down my face as I paced in front of my apartment. My dad had no idea how much of a burden this request had placed on me. I was on the verge of paying off my student loans and inching toward debt freedom, yet I felt like my own father was trying to lure me back in. When my father passed away Lord knows he had plenty of debt. Fortunately, debt is almost never inherited from parents. Unless you co-sign a loan with your parents, their estate will be used to settle any debts they have. And, if they don’t have any assets, their debts usually die with them. If you find yourself in a situation where you co-signed a loan and the co-borrower has died, you’re probably feeling overwhelmed. Perhaps you are debt-free yourself and wanted to stay that way. Or, maybe you just had no idea what you were getting into when you co-signed for a loan. Whether you have co-signed for a car loan and the co-borrower has died or are faced surprise debt from a secretive (and now deceased) spouse, you are responsible for this debt. How you choose to handle it is entirely up to you, but you could lighten your load considerably if you refinance or consolidate to get a better deal. High interest debts can be refinanced into a new loan product with a lower interest rate and better terms. You may also consolidate several high interest debts into a new loan that can grant you lower rates and a single monthly payment to deal with. Before you choose a debt consolidation loan, make sure to shop around among lenders that offer low rates and flexible terms. I have to say, in my opinion, Discover Personal Loans offers one of the best personal loan options with fixed rates, no fees, and repayment terms to fit your budget. Discover Personal Loan’s calculators can help you estimate payments. If you have debt and assets from a spouse or parent you co-signed with, you can always sell items you can part with to pay down debt. Perhaps you have joint credit card debt and some antique furniture or an old, paid-off sports car. Take whatever you have to work with and try to use it to your advantage. If you co-signed for a loan and are now left holding the bag, it doesn’t mean you’re destined to struggle with debt forever. Create a repayment plan you can live with, and you can slowly but surely pay down debt over time. As mentioned already, it might help to seek out a debt consolidation loan if you can qualify for a lower interest rate. When you’re paying less interest, you may be able to throw more money toward your loan’s principal each month to pay down debt faster. If you’re juggling multiple loans and don’t want to refinance, you should at least strategize repayment to get the most bang for your buck. By paying higher payments toward loans with higher interest rates, for example, you can save money on interest and speed up the repayment process. While debts are usually paid off using excess funds from the deceased’s estate, some assets may be exempt. Depending on the state in which you live, you may be able to inherit life insurance proceeds and retirement benefits regardless of debts as long as you are listed as a beneficiary. If that’s the case, you could feasibly use these assets to pay off debts. 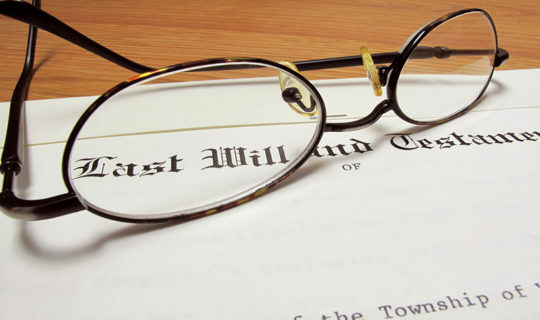 If you’re curious whether life insurance proceeds, retirement benefits, or other assets are truly yours or subject to the repayment of creditors, check with a probate attorney or read up on probate laws in your state.